Most of what we know about the climate, and the ways in which it's changing, can only be compared to very recent history -- the past 150 or so years -- because before that, nobody was documenting it. Nobody, that is, but the artists. That's the fascinating theory behind a new study that analyzes paintings going back to the 1500s to study the way atmospheric pollutants impact the climate. Specifically, researchers at Greece’s Academy of Athens say, they were able to use depictions of sunsets to measure something called aerosol optical depth (AOD), a measure of particles, or aerosols, in the atmosphere. Back before the industrialized era, those particles could include things like dust, smoke and, most significantly, volcanic ash. These day, industrial pollutants are added to the mix. When enough aerosols accumulate, regardless of the source, they scatter the sunlight. The colors we see during a sunset shift to a pronounced red-orange hue that can last for up to three years after a volcanic eruption. 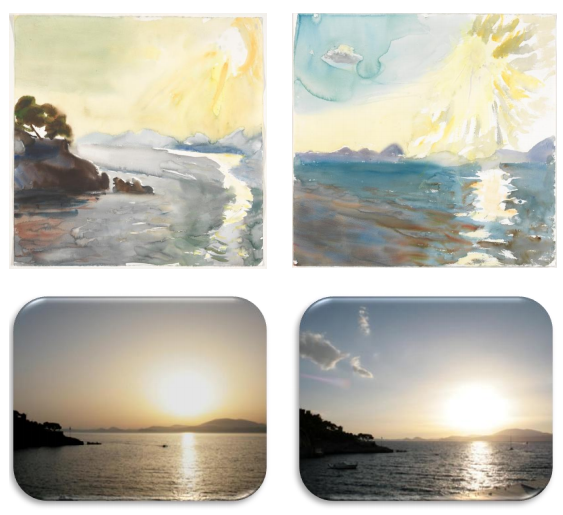 Analyzing hundreds of paintings over the years, the researchers were able to show how the most brilliantly depicted sunsets were painted in the aftermath of those eruptions. Regardless of their structural differences, the paintings, when averaged, correlated with the historical data we do have (like the ice record and documented volcanic activity) to predict AOD to an impressive degree of accuracy. "The main conclusion of the paper," according to its authors, is that "nature speaks to the hearts and souls of the artists." But there's an interdisciplinary reason to care as well: “We have found that, when colouring sunsets, it is the way their brains perceive greens and reds that contains important environmental information,” lead author Christos Zerefos added in a statement. That's because the aerosols from volcanic eruptions have a significant impact on our climate. As the Atlantic Cities points out, they may even be responsible for the so-called pause in global warming. Understanding the way this manifests in paintings allows us to take information about AOD from the past, when there weren't any scientists measuring it, and plug it into our current climate models. Doing so, the researchers argue, can help improve predictions of future climate change.